Every luxury room in Rhodes offered by the Atrium Platinum hotel combines the stylish elegance of a city hotel and the comforts of a top class resort, ensuring a stay beyond expectations. The fine quality fabrics, the chic furnishings and luxury touches in every fascinating luxury room in Rhodes of Atrium Platinum Luxury Resort Hotel & Spa will sure amaze even the most discerning travellers. 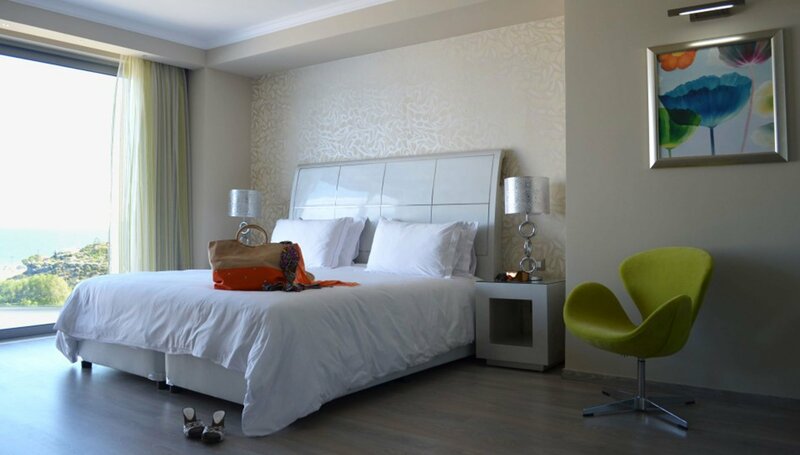 Stylish, contemporary and lavishly fitted with a breadth of modern conveniences, each Rhodes room of Atrium Platinum hotel invites guests to experience the executive lifestyle of a world traveller. Set on the beach of Ixia Bay and in close proximity to the island’s medieval town every room and suite in Rhodes features the best setting for an amazing holiday in this incredible island of Greece. The stylish executive suites with 180-degree sea view are considered a top choice of accommodation by our esteemed guests as they feature a charming bedroom, a spacious bathroom and a stunning lounge area that will turn any holiday into a dream come true.